Another benefit of this is that cities can generally borrow at lower rates than private homeowners, so the economics of the panels work out better. It makes a lot of sense, especially in sunny areas like California and the southwest. 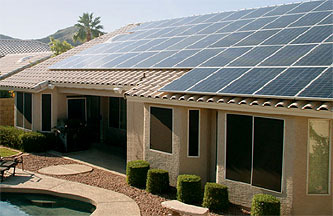 UPDATE: Osha Gray Davidson has more on SolarCity and their experience in Arizona here. Turns out that not everyone is excited about the competition….